Gordon Smith longs to see these three traditions unite together, and calls for an integration of the three traditions in one faith. Six critical questions to ask and reflect on in stages of transition through our lives. This is an invitation to think theologically about the Christian life and to ask, what does it mean to be a Christian? More specifically, what does it mean to be a mature Christian? 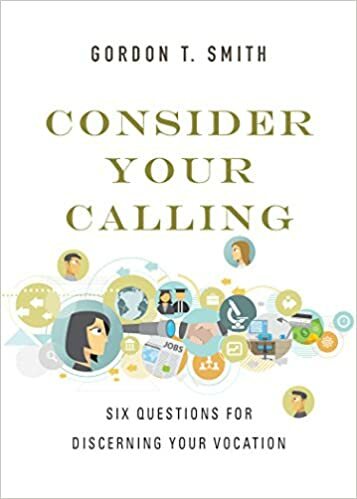 A guide to the question of discerning vocation, work and careerr - through the transitions of life, work and career. Gordon T Smith is the president of Ambrose University located in Calgary, Alberta, Canada. Ambrose is an institution owned by the Church of the Nazarene and the Christian and Missionary Alliance in Canada. It includes a whole range of undergraduate programs, including education, business, music, behavioural sciences an biology, as well as history, English and psychology. Ambrose also includes an undergraduate school of ministry formation. And, last but not least, there is Ambrose Seminary, a fully accredited graduate level institution of theological formation. Gordon has been the president since August of 2012. At Ambrose, Gordon is also Professor of Systematic and Spiritual Theology.